A common question that many of my readers ask is, “How do you go about finding a good article writer?” Because I have built hundreds of niche sites, I have outsourced a TON of content. I've used several different writing services and freelance websites to find authors; and so I feel like I have sufficient experience to answer this question. When I first started out building websites, I wrote all of the content myself. And if you write well, I still think you should do it yourself. However, I got to the point where my dreams of building larger quantities of sites outpaced my ability to write articles; so I decided it was time to outsource some of the work. What follows here are some of the tips I've learned over the past few years on how to hire a freelance author. HireWriters.com (I've just recently started testing). To be honest, its not so much about where you hire an author, but the task is finding a good author and giving good instructions. For my public niche site project, I used Elance.com to find a great author. Here's how I did it. First, when I published the job, I asked specifically for someone with experience in the camping or survival niche. You can do the same for your niche. If you want someone who has been a flight attendant before…ask for it! You will be surprised at how many qualified candidates you get. Even if you don't find someone that is a perfect fit (maybe they work for a company that hire's flight attendants and they are not really a flight attendant), but if you can find someone with close experience to what you are looking for, this is a great start. So, that's step one, don't be afraid to ask for your ideal author! However, much more important than the author's background is whether or not they can write. The ideal situation is if you can find someone that both has experience in your niche and writes well. But if I had to pick one, I'd pick the good author over past work experience. Luckily for my survival knife niche site, I was able to find an author that met both criteria. Look at the work history and reviews of the author. An author with lots of positive reviews is definitely a good sign. So, if you can hire someone that has received raving reviews, its certainly less risky. However, just because an author doesn't have many reviews, doesn't mean that aren't worth hiring either. They could just be new to the website or to freelance writing. In this case, you can look at their resume (if provided), or contact them directly to get a feel for how they would be to work with. Review their past work. Most authors will have samples of their writing. I have excluded MANY authors from my search by simply reading one of their articles. If it sounds like garbage…don't hire. 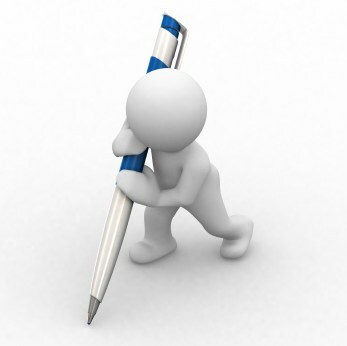 Contact the author directly with follow up questions; and make sure they are responsive. You can learn a lot about an author by sending them a private message and asking them a specific question. I usually ask something about the job and make sure they understand it fully. If they don't respond, they are out. If they are not responsive, you don't want them. Or if they don't respond in a comprehensive manner, then that could certainly be a red flag as well. Give Detailed Instructions. Once you've hired an author, its up to you to make sure they understand exactly what you are looking for. In addition to just the keywords to use, you want to tell them what you want to see and what you don't want to see. Should they review a product? Should the review be positive only…or “honest”? I usually tell my authors to be as specific as possible – include statistics like model number, prices, size, ratings, and much more. I usually pay based on the length of the article. So, for a 1000 word article; you might pay $5 on the very low end (I would never hire an author that is this cheap) to $80 on the high end. Most of the articles that I have written in the 1,000 word range from about $15 to $25. So, a 500 word article would be about half that price. These are just rough estimates and can vary depending on the project and experience of the author. Overall, outsourcing content is an excellent way to scale your business, and I've done it for a long time. Hopefully by following some of the principles I've laid out here, you will be able to hire a great freelance author for you next project. If you have any comments or questions, I would love to hear them below! Fantastic! I was JUST getting ready to post a comment about this on one of your other posts. I work a full time job as well as a part time job, so getting these projects going is tough without being able to outsource at least small parts. Thanks for the tips, as always! I’ve used several services, but settled on several writers on Textbroker, but I went through a similar process of selecting them. I’ve also found writers by asking friends, family and colleagues if they know someone in the field of interest. Great point Artur, you can always ask friends or family if they know someone who is an expert in the field. That is something that I never thought of for whatever reason. Textbroker seems to be the best way to find decent writers. In terms of consistency they seem to be the right quality for the right price. Great article! I’ve actually been lucky to find authors at forums. The best is that they are all Experts and they will often write for free. Kasper, quality 500-1000 word user generated content is a dream I have been trying to work to but haven’t had luck yet, with my newest project I plan on giving it a go. What niche are you in that you can find people to write for free? I have been able to get quality articles created for substatially less $3-$6 for 500-600 words on ODesk. But at that price you have to accept that 25%-50% won’t be good enough for your main website. I like working with textbroker. I think being able to choose the level of writer you get based on cost is a nice feature, and the articles I have received have always been good. Nothing beats out writing your own content when it comes to cost, but sacrificing content to write it yourself is a mistake. You did the right thing with the public site. I just started outsoucing on Textbroker a couple months ago for my new niche sites. It was HARD for me! I’m a 4 star writer at Textbroker myself, so paying 3 star writers for articles was KILLING me lol. I finally had to just “let go” and accept that I’m just picky and I’m never going to be fully satisfied with somebody else’s writing to go on my own sites. Deciding to outsource was one of the best decisions I’ve ever made. If I hadn’t done it, my 3 new niche sites would still be sitting in limbo with little content, much less backlinks and design. So outsourcing enabled me to get these new projects off the ground. Now (2 months later), I know enough about my new niche topic that I can write my own epic content now and then, but I totally needed those outsourced articles to get the ball rolling and build some momentum. Did you try to have your writers create copy that you could edit? In my experience, those 2 and 3-star writers are developing and as long as they pay attention to detail, you can edit their copy. I suspect you’d do this anyway LOL. I sure would. To what extent do you expect the authors to research the topic? Do you normally refer the authors to resources so they can pull together your articles? I think the best element for a review article that converts is the honest and from the real experience of the writer, if he nevers used the survival knives, Why do you know if a freelancer really used the stuff or he just rewrite other guy’s review? I suppose you can never know for sure…since we are in a digital world. I’ve outsourced article writers for a long time. The original problem I had was that I wasn’t specific enough with my instructions and I keep getting articles that I didn’t like. Now I’ve got some great writers that I love and it’s really helped my business soar. I just read your great article, Spencer! I agree with you 100%. As business owners, we should focus completely on our strength. I rather spend more time to discover more niche and make an outlines for professional writers to create great contents. Research is my expertise and writing is their expertise. In my opinion, to focus on our strength is the most effective way to work. I haven’t been that impressed with Textbroker 3 star writers – I have found you typically have to pay 0.022 for 4 star to get decent quality. Yes, I typically go for 4 start authors on textbroker. This post could not have been better timed. I’m doing NSD2.0 and I was just wondering what the best practices were when outsourcing article writing. I’ve heard a lot recently about HireWriters, so I think I might start there. I’m a little worried about outsourcing because up until now I’ve always written my own stuff, and I actually make a living as a freelance author so it seems weird to me to be the one doing the hiring. I’ve seen some pretty poorly written outsourced stuff, and I can’t help thinking that it might happen to me. How often would you say you hire an author and then have to completely scrap whatever they send you? Stuart – it all depends on who you hire. On textbroker level 3, I get poor content perhaps 1 or 2 out of 10 articles. At level 4, that’s dramatically reduced to perhaps 1 out of 25 is not sufficient (or perhaps even less). With elance and others where you hire the author directly; you should know pretty well the quality of author before you hire them. Aern’t you the final judge of quality for this site? Or was it a package deal of buying & hoping for good copy? Good tips Spencer! When you outsource content, do you provide the “Full Article Title” or just the “Keyword Phrase”? Do you think the level 4 & 3 at TextBroker is well worth the money? I’m not good at English, so I’d find it hard to judge the quality of the article when I outsourced. I usually do a full article title; as it helps explain exactly what I’m looking for. Textbroker has a separate field for “keywords”. Yes, you should at least do a level 3 in my opinion. Obviously level 4 is even better and is often what I pay for. Their professional plan is $1 per 100 words. I ordered a few articles from them and found that I pay $10 for the same quality as I ordered on textbroker for $40. Do you have any suggestion for non native English speaker to evaluate quality of articles? That’s a tough one, since I’ve never been in that situation. I usually read through them to determine quality…you may just have to pay for higher quality authors and rely on their expertise. And if the niche site makes sizable revenue, i request the webmaster to get a decent custom [ or at least get branded templates ] for ***** sake. Do not be a grumpy miser. Get a decent logo, and maybe even see if you can improve the quality of already existing articles. Spend a little part of that revenue on making the site better. It is because of the perceived abuses of the webmasters that the **** at google dialed up the notch, and now there are multiple false positives that are making things EXTREMELY tough for people who spend 100 dollars per article and get merit based links. This is something even I asked in one of my comments on your site. Let me do research on these sites. How do you find out if the article written by your freelance author hasn’t been copied from another article? Are there tools to check this, so that your niche site won’t get punished by Google for duplicate content? Copyscape.com is good tool for comparing the duplicate issues. Copyscape is one way. Textbroker.com automatically runs all articles through copyscape so you know its original. I’ve used iwriter.com., But it is not in your list. It is quality or not. Aron, I have used iwriter with success as long as you pay a little extra for the better quality writers. You can also reject an article on iwriter without paying if it is crap. Spend an extra $5 now for better quality. If cost is a problem, have articles written in smaller batches, it may take you a bit longer to get the site up and running but worth it in the long run with better quality on your site. I just received my articles from text broker. I ordered level 3 article. I think they are pretty reasonable for a niche site though I found few spelling errors. I have just started outsourcing in Odesk for my niche sites. Wish this post come earlier so i could apply the tips you have mentioned. I guess sometime it will be a hit or miss when going for the route of outsourcing. Just curious, do you post your job posting in several outsourcing site at the the same time? Do you think it’s a good idea? It is also a good idea, we can choose the best candidate for the task. I usually just post it on one site. I’ve found no need to post it multiple locations as I usually get plenty of bids. Thanks for posting this Spencer. I Had actually found a very good writer from elance for a niche site after you told us this is where you found your survival knife writer. There are tons of sites out there to find freelance writers but many of them haven’t been great in my experience. Finding the writer on elance was a real gem. I’d be interested to know your views on hirewriters.com when you have had chance to evaluate. $5 for a 750-1000 word articles just seems top cheap. There are different levels on hirewriters.com; so you can pay a bit more for higher quality. I like to write the primary article myself e.g an in depth 1000+ word article. It’s a great way to set the tone of the site and understand the niche, then outsource the rest to Textbroker. I have used iwriter, the content authority, hire writers etc. but found Textbroker by far the best source for good content. Spencer, are you going to take part in Pat’s NSD 2.0? Thank you, Spencer, for mentioning us, and for everyone who has commented about using us. If there’s anything we can do to make the experience better, please let me know! I just started to use http://www.writeraccess.com. I like it much better than TB….better interface, higher quality articles and super fast customer service. I just wanted to say thank you for everything you are sharing here. I built my first niche recently (have 11 more on which I’m working – no outsourcing for now), it was a survival related niche (not best survival knife, far from it :D), a keyword with less than 800 local monthly searches. I followed the information in your Public Niche Project almost to the T (but also introduced a lot of my own original ideas of course). * The “Average Visit Duration” for “(Direct) / (None)” visits is inflated due to my own visits; discounting my own visits, this number is closer to 5 minutes. Not a huge number of visitors I know, but considering everything I’m really happy. Even getting some social shares already (12 total so far)! Really excited and again, thank you – none of this would have happened without your help. AWESOME!! I love to hear others success…so happy for you Mark! Thanks Spencer! I’ve learned so many things building this website it’s ridiculous! It’ll all help me out with all other pages I build. Do you think it is a good idea to link internally from within a review, to another review? I mean a contextual link, where it makes sense (for example mentioning that there is this other product which has similar features but is for example cheaper). Or do you think this detracts from the readers attention and that a review should be as focused on the product at hand as possible, without ANY links to other products? I’m asking because I’m trying to find the perfect “model” to use for my other sites (I know things will change from site to site, but I’m pretty sure there are some constants that can be applied); I’ve been looking at some of the bigger review sites out there and none of them seem to be linking to other reviews from within any specific review. I’m currently doing this, and while it is keeping the readers longer on my website (I can see it through my click Heat Map and other tools), I’m wondering whether this isn’t reducing my click-through rate to Amazon and also maybe reducing the impact of my pre-selling. Right now 60% of my unique visitors are clicking my Amazon links (I’m not talking about total clicks in Amazon, but unique clicks), so I think that’s pretty good. But I’m wondering…. I’m not Spencer but always willing to help out 😉 In my opinion interlinking is a great thing and it doesn’t matter if it’s a review site or some other content. I personally use minimum one internal and one external link per post on my sites and on top I use the YARPP plugin. Works great for me and I think it helps to deliver a better user experience as well. Sure, I think its fine to link to other reviews. Hello everyone, Brandon from HireWriters.com here. I’m assuming this is the same person that emailed us awhile ago with concerns that we (hirewriters.com) hold the copyrights of the articles you get created. I explained that this is not the case. So if there is any confusion, let me clarify it here publicly that clients own the rights to the content they purchase on our site, not the writer, and not us (hirewriters.com). I’d like to invite anyone seeing this comment here to try out our service. I’d be happy to credit your account $10 for free to try it out (no deposit required). 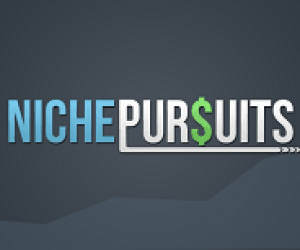 Just sign up, and then drop us an email mentioning you heard about us through NichePursuits.com, and I’ll credit your account. Thank you Spencer for testing our service out! thanks for sharing your thoughts on this. I like to outsource my niche content to Iwriter at the moment and only do the writing on my blog myself. The reason I use them is they’re just freakin fast and deliver within a single hour sometimes. Quality depends on how much you are willing to spend, most of the time I rewrite some of the content myself after I got it. I used Odesk before and got better quality content, but it was more expensive and more important took way longer to be finished. I have learned a lot from you over here at Niche Pursuits and Long Tail Classroom. Can you do a post explaining how to go about back-linking pages other than the home page. Did you use layered links to do this? I really think you shouldn’t worry too much about backlinks. I’m seeing niche sites all over the place ranking in top 2 for keywords with good CPC and 2,000+ local monthly searches with nothing more than 10-15 no-followed blog comments. (These are new domains which have existed often for less than 3 months – your typical niche site). Focus more on the quality of your articles and at least for now (I’m assuming you’re a beginner, sorry if I’m mistaken) don’t spend $200+ on a backlinking service, as I honestly don’t think it’s required for someone just starting out and building no more than a few niche websites per month. 2. Great content; by “great” I mean the type of article that contains important information from at least a few different sources. So basically what you want to have is an article that has the type of info that cannot be found on any one page in the top 10 results – the user will benefit just as much from reading your one article, as if he were to read the other 9 articles ranking on the first page. If you achieve that, you’ve got yourself great content IMO. 3. On-site optimization; I was surprised myself how much of a difference this makes for non-competitive keywords. 4. Make it easy for your users to social-share your pages. Backlinks (while required) should just be like 5% of what you do. And I believe that for the type of websites we are building here it’s more about the DIVERSITY of the links than it is about how many of them you have. So it’s much better to get 3-4 links from 10+ different sources than it is to focus on building like 50 Web 2.0 properties. This applies only if you did your Keyword research right, as Spencer teaches. stuff like that. These articles need to be great though and again – they must offer something that no other single online resource offers. 1. Find 3 or 4 quality articles online, related to my niche. 2. Find a freelance writer and ask him to re-write (not spin, just a good by-hand re-write) each of those articles 5-10 times. Since those articles will be used for backlinks, they don’t need to be very high quality, just readable and original. I recommend hiring Kenyan freelancers; their English is usually quite good, and the average monthly salary over there is $100-$150, so you can get 20-40 re-written articles, all of which read well, for as little as $1 per re-write, if you give them a full order. 3. Hire a VA from either Kenya/other African countries or the Philippines (also pretty decent English). This Virtual Assistant wlll go around the web creating Web 2.0 properties and posting the re-written articles, posting a few articles to good article directories, and doing lots of other things for backlink diversity (forum posting, bookmarking, RSS submissions, one or two forum posts in a related niche, a few web directory submissions, a few doc and image submissions etc.). All of this work can be completed within around 10-15 hours (remember to spread it out over 2-3 weeks), and you can easily hire a competent, English-speaking VA from one of the countries I listed above for as little as $2 per hour. So the VA will cost you $20-$30 in total, in most cases. 4. Finally, a press release – either write that yourself, or outsource it to a good writer for $10 or so. This way you will have full control over your backlinks, you can have your own “strategy” which you will know for certain no other websites online are using in the exact same way (harder to leave a traceable footprint), and you can change your backlinking strategy anytime you want. The whole thing will end up costing you around $50-$60, depending on whether you write your press release yourself or not. Very good ideas. I will definitely try to implement some of these. The only thing I was trying to find out was if we should really be doing back-linking to internal pages. Though the general answer would be yes we should, in my experience it does not matter much. But I cannot fully confirm this as I only have a few sites up. Another thing I noticed that even if I do not build a single link after 6 months or so I do end up on the first page (not first position though). That is if the content is great obviously. But have to wait that long. What NSP showed me is that if we start building links after 2-3 weeks, we can get to that first page quite faster. All this time I have been thinking that we should wait 3-4 months before starting link building, which is obviously wrong. I have never outsourced link building, did it myself, but again very few links. And it consumes a lot of time. Even I think we do not need $200 back-links if the KW research is spot on. With that said, the “How to” articles I mentioned (in the case of a review site) are excellent for building a handful of links to. They will also attract a few natural links here and there, which is the main reason I mentioned them (other than the obvious one, which is that they will be helpful to your readers). Yes Mark, I agree with you. That is a very good idea you have suggested. I will definitely put it to practice. Yes, you can submit 3 URLs to layered links. Thanks Spencer. One more question. If the KW research is well done, we might not need those many links which Layered Links provides. Do you of any other service which can do less amounts of links at a cheaper price? One can always outsource more link building if the initial amount of links do not get you to first position. There are lots of services; you can also find people on the Warrior forum for hire that will build links. Great Article.Well I would like to know how do you handle payment part ? How do you transfer money from Amazon to Your account ? What about the tax which is applicable to Asian based country (India) ? How do you transfer Money to article websites ? If you don’t mind Kindly start a new post about these topics.It will be helpful for beginner like me. Amazon pays via direct deposit to my bank account. You can simply get a check sent to you, that is if it’s possible for you to cash a US check in India (it shouldn’t be a problem, but better call some banks and ask). There is a $15 fee for checks sent within the US. However, for international Associates, this fee is waived. I am also from India. You can get checks from Amazon and deposit them in any bank in India. Amazon works on 60 day cycle. So Jan payment is disbursed in March end provided you have reached $100 limit by Jan end. Then it takes about 20-25 days for the check to get delivered to your address. After that once you submit it to the bank, it takes around 21 days to get it cleared. Only after all of this, will you see any amount in your bank. So be patient. You will have to pay the income tax here in India. Amazon does not deduct any amount. Pay it when you file your income tax returns. You can pay pretty much any website with your credit card or Paypal. Elance and Odesk are good places to search from. I knew a lot who are happy with their hired freelance writers. I have to agree with you, Spencer. Do not be afraid to be specific with what you want. If getting a good writer who has an experience with the kind of niche you have is impossible, just get a good writer. I completely agree with you when you say “don’t be afraid to ask for the right author.” There are SO many writers out there today and each one is unique. The perfect one for what you need is out there somewhere. I’m still at the stage where I write all my copy. Soon I will be venturing into VA land and hiring a few writers as I expands my sites. Thx for the information in this post. I’ll bank it for now so i can refere to it later. Thank you Spencer for another great post… I was just looking to start gathering some articles for content. As always – great advice. Listening to your podcast as I type this also. Great site. And congrats on being able to quit your day job and do something you enjoy. I do have a question. Where do you get product artwork for your sites, like your pictures of knives? Do you contact vendors for images or what? The images come from Amazon. Because I am an affiliate and selling the products through amazon; I’m able to use those images (according to my research).